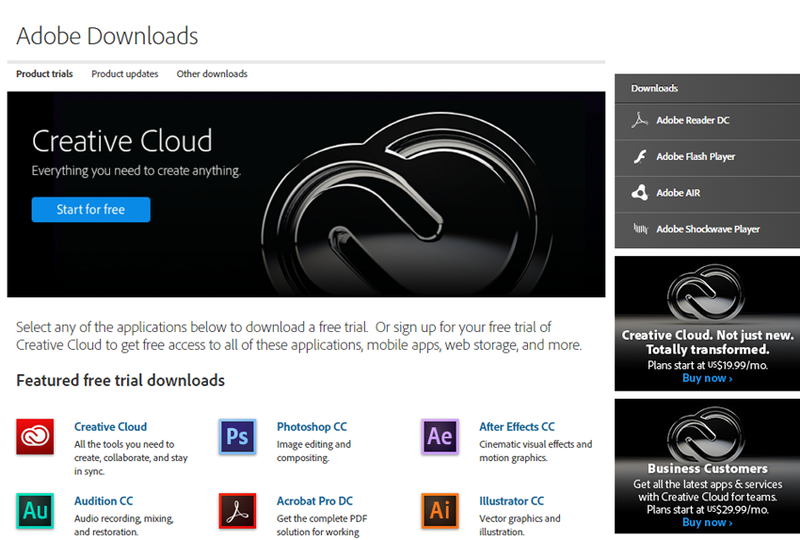 Subscribers to Adobe’s Creative Cloud already know that Adobe is a huge innovator in the field of creative technology. Programs like Photoshop and Illustrator have set the industry standard for creative software for years now, and every creative professional needs to have at least some familiarity with Adobe’s stellar program offerings. What many people who use and love Creative Cloud don’t know though is that you can get a whole more out of your Creative Cloud subscription by adding an Adobe Stock Photos Creative Cloud subscription to your account. Here’s how, as well as a look at what you can unlock. Adobe launched its very own stock photography vending service earlier this year with Adobe Stock, selling the rights to the millions of stock photographs in their library. 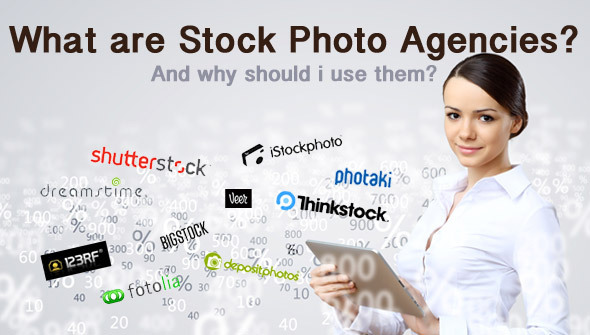 Like other stock photography agencies, Adobe Stock allows customers to download and use photography for commercial purposes. But there’s one huge advantage for Creative Cloud subscribers. Adobe Stock is fully integrated into the Creative Cloud, and has some very cool unique features for users of Photoshop and other Creative Cloud programs. Every photo in Adobe’s stock photography library can be easily downloaded and used within Creative Cloud programs without ever being purchased: if you use photoshop or another Creative Cloud program, you can work with Adobe stock images for free, and you only have to pay to remove watermarks when your finished project is completed. The possibilities are endless when you add an Adobe Stock Photos Creative Cloud subscription to your existing Creative Cloud account. Here’s how. To add Adobe Stock to your Creative Cloud account, you just need to follow a few simple steps. First, visit Adobe Stock to see some of the subscription options they have. The cheapest comes in at $29.99 per month for ten images if you already have a Creative Cloud account, and purchasing additional images will cost you just $2.99 each after you hit your cap. Once you’ve visited the Adobe Stock page, you will need to sign in to your Creative Cloud account in order to purchase a subscription tied to your account. Once you do, choose the plan that you like and add your payment details. Once you have an Adobe Stock subscription to go along with your Creative Cloud membership, you will see just how many images that Adobe’s library has to offer, and how great their stock photography service has been so far. Using an iStock promo code entails a number of things you should know to use it more effectively. Luckily, iStock gives their members all the information they need from getting an iStock coupon to applying them. As one of the largest and most successful stock photo agencies in the industry, iStock does a great job of keeping its users satisfied by offering high quality creative content and giving away iStock promo codes. iStock offers iStock coupons from its website. These exclusive promo codes can be used to cut off prices from your purchases. The stock photo agency also affiliates with trusted websites, where you can get valid and active coupon codes. Many websites claim to offer these coupon codes. Keep in mind that you should only deal with those affiliated with iStock to avoid being scammed. One of the reliable websites you can get active and valid codes from is stockphotosecrets.com. iStock coupon codes are only applicable to credit packs; therefore, they cannot be used with subscription plans. They cannot be used to get discounts from credits you already paid for. But, the next time you spend time downloading images you need, you can use these codes. If you are thinking about using two coupon codes to further your discounts, know that they cannot be combined with other offers and promotions as well. iStock sells photos, illustrations, videos and audio clips. The website allows you to browse through stock photos and royalty-free images and find the perfect photography for your projects from its collection of premium images. It also allows you to explore stock illustrations and graphic vectors to elevate your ideas. Moreover, the website lets you discover High Definition video clips and stock footage as well as audio clips. Unique to the website, iStock features Signature artists of the month that will take you to behind-the-scenes and see what inspire them. From this feature, you can also find works of art that the artists contributed. If you are looking for masterpieces made by this particular artists, it makes the search easier, faster and more convenient. If you are looking for an iStock coupon or discount code, search no further. The website itself offers them plus many other affiliated ones. After all, iStock is known to offer incredible stock. It is also known to offer flexible pricing. So, if you are looking for stock content to fill your creative projects, ignite your creativity and elevate your ideas, you have come to the right website. With an account and coupon code, you can do big things! One of your jobs as a designer, marketer or any other creative professional that subscribes to a stock photo service as being discussed in StockPhotoSecrets.com with the intention of manipulating the photo in Photoshop is to try and strive for a finished product that is so polished that no one can tell that the photo was manipulated. This applies in two ways: extended photos and cropped photos. We’re going to talk about the latter. Cropping a photo means take out the part of the photo that you want and discards the rest. Photo cropping is one of the first and primary skills anyone will learn in any Photoshop course. Good cropping skills go hand-in-hand with the type a skill it takes to choose a good photo. Sometimes cropping is good, sometimes it’s not. One of the easiest ways to check out a poorly cropped photo is when a photo that was taken on a solid background is placed on a gradient background. There tends to be this “rift edge” to the photo as an instant tell for poor Photoshop skills. Another instance is when you take out a specific element of a picture to use just that. If you want a man in a business suit, then you need to choose a photo of a man in a business suit. If you find a group setting and take a single person out, people can usually tell. It is your job as a designer to ensure that your message gets through to the viewers. Poor Photoshop skills don’t convey the message. Their eyes drawn to your poor Photoshop skills. If you want a man in a business suit in a group meeting setting, then choose a photo of a man in a business suit in a group meeting setting. Another common mistake of cropping photos is leaving irrelevant elements of the photo in the finished product. If you want a man in a business suit, choose a photo of a man in a business suit. If your photo happens to have two people in it, your best bet is to choose a different photo. If you poorly crop out the other person, it will take away from the message or purpose of the photo. If you leave the unnecessary person in the finished product, it will take away from the message just as strongly as if he was poorly cropped out. It is your job as a designer to make sure that clients don’t ask you to make mistakes on their behalf. You’re the expert, and they expect feedback from you. Use your judgment to make sure that the finished product is something you’re proud of. Clients don’t hire designers to make mistakes. Their vision does not have mistakes in it.